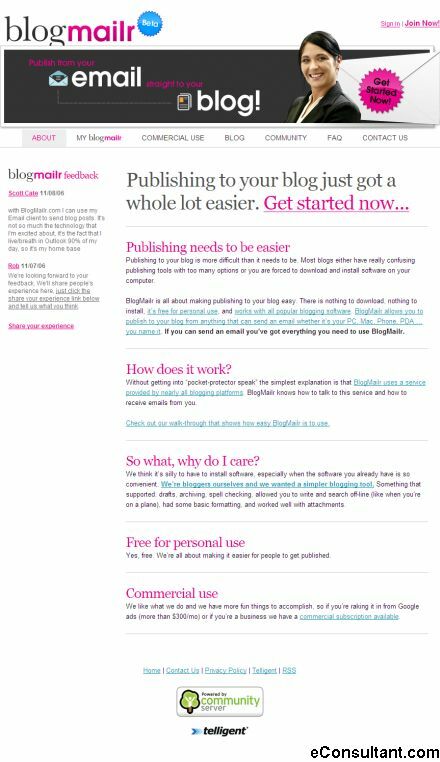 Description : BlogMailr is all about making publishing to your blog easy. There is nothing to download, nothing to install, it’s free for personal use, and works with all popular blogging software. BlogMailr allows you to publish to your blog from anything that can send an email whether it’s your PC, Mac, Phone, PDA … you name it. If you can send an email you’ve got everything you need to use BlogMailr.